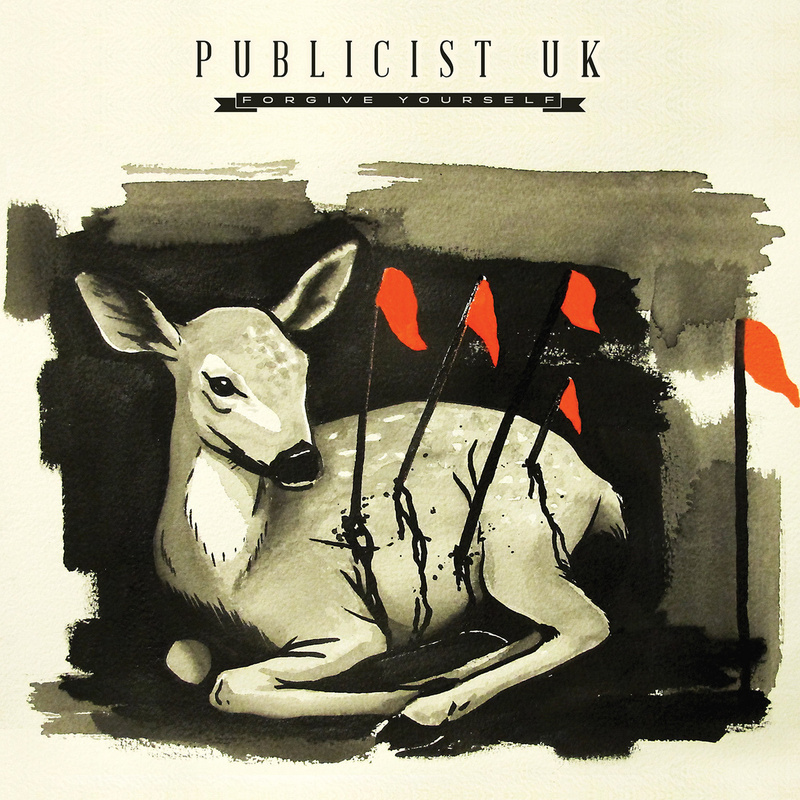 Publicist UK aren't really from the UK and though they have just released their debut album, Forgive Yourself, on Relapse, they're not even what you'd instinctively call "pure metal", yet their members' roots are nothing but. Publicist UK is a supergroup consisting of of Brett Bamberger (also of Revocation, ex-East Of The Wall), Zach Lipez (ex-Freshkills), David Obuchowski (Goes Cube, Distant Correspondent), and Dave Witte (Melt Banana, Burnt By The Sun, Municipal Waste). They have mostly been described as "post-punk" and that's quite accurate, though you can't leave out the word "heavy" if you want to be precise on describing their sound. Relapse seems to have been expanding their horizon these last couple of years, with non-metal releases like Nothing's brilliant album from last year and now Publicist UK and Pinkish Black, a new factor for the label, a refreshing and rejuvenating one which so far we can't get enough of. The band's first music video off Forgive Yourself, it is for the track Away and it is directed by Heather Crank. Buy it on physical and digital formats through Relapse Records.